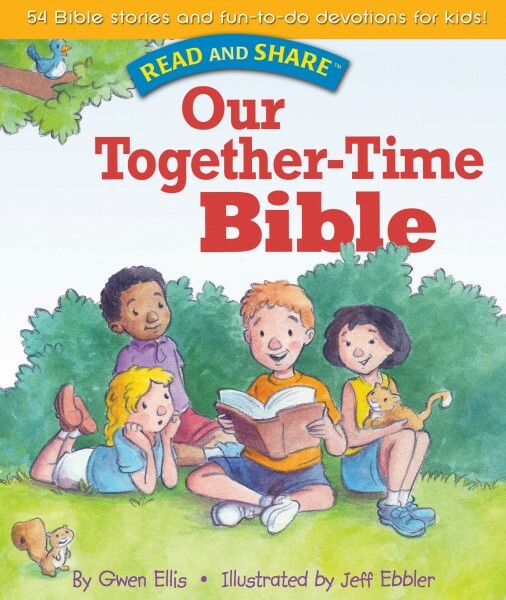 The Our Together Time Bible: Read and Share is the perfect way to help young families teach about God's Word! With 52 Bible stories and fun activities, this book provides easy access to age-appropriate topics, prayers, Bible stories, and activities that encourage sharing God's love with others. Stories emphasize such topics as helpfulness, forgiveness, love, and fear. It's perfect for young families who are looking for tools to help them teach their children about God's love and who want to make the most of the times they spend together. Each devotional contains a variety of topic introductions (ranging from songs and poems to recipes and stories), a Bible verse (short enough for a child to memorize), a Bible story, "What Have You Learned" questions, a "Share God's Love" activity; a prayer; plus engaging four-color art.